Campaign Against Antisemitism? Oh no it doesn’t! 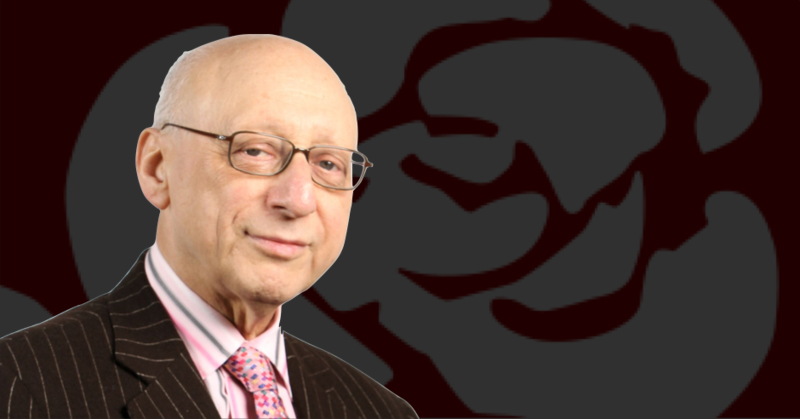 The late Sir Gerald Kaufman MP, vilified by the pro-Israel Campaign Against Antisemitism for his support for Palestine. One of many reasons why the CAA’s charitable status should be revoked. The Campaign Against Antisemitism (CAA) is an intensely Zionist group created at the height of Israel’s bombardment of Gaza in the summer of 2014, with the specific goal of demonising Israel’s critics. It poses as a charity protecting Jews against rampant antisemitism. In fact it concentrates on belligerently attacking supporters of justice for Palestine who draw attention to Israel’s crimes against the Palestinian people. This is why Free Speech on Israel supports the petition challenging the CAA’s charitable status launched by activist Tony Greenstein. The CAA’s characteristic response has been to make a failed bid to force the online petition site change.org to take down Greenstein’s petition. The CAA came into being at a time when some elements on the extreme wing of Britain’s Zionist community became frustrated with what they viewed as the insufficiently vigorous campaigning on behalf of Israel by established Jewish organisations. Not satisfied with the activities of the mainstream Community Security Trust (CST), which monitors antisemitic incidents in the UK while sometimes making life difficult for those of us in the Jewish community who do not regard support for Palestine as antisemitic, the CAA actively seeks to ramp up fear among British Jews. Right from the first, CAA has been a shock trooper in the Israeli campaign to define as antisemitic activities which expose the state’s denial of rights to Palestinians, or challenge the nature of the state or its founding ideology, Zionism. Thus armed, it then sets out to shrink the space in which pro-Palestinian advocacy can take place. CAA’s first triumph, no longer celebrated on its website but on record elsewhere, was to initiate the public evisceration in August 2014 of a small London theatre which had dared to try to distance itself from Israeli embassy support for a Jewish film festival that it had staged successfully for eight years. The Tricycle theatre’s modest attempt to take an ethical funding decision during Israel’s bombardment of Gaza was cynically portrayed as a racist boycott of a Jewish cultural event. Despite the best efforts of many in the theatrical world to defend Tricycle artistic director Indhu Rubasingham, public humiliation in the pages of national newspapers and online, combined with threats to her theatre’s funding, forced her into retreat. Empowered by this success, the CAA took their campaign for “zero tolerance of anti-Semitism” to police authorities and to the Home Office, then run by one Theresa May, demanding the right to vet pro-Palestinian demonstrations before they took place and calling for criminalisation of the boycott, divest and sanctions campaign. That they have been remarkably successful is a matter of grave concern rather than a matter to be celebrated by anyone who values genuine resistance to racism in our society. For Jews to be seen as censors conniving with the authorities to curtail legitimate protest and debate is hardly a way to endear us the wider community. Since August 2014, the majority of CAA’s activity has been a litany of lies and distortions directed against critics of Israel misrepresented as haters of Jews. In advance of this year’s Israeli Apartheid Week – an established part of the activist calendar for pro-Palestinian students – the CAA sent out a guide inciting young people to record, film and photograph the activities of their peers. This is hardly the behaviour of a registered charity. When Ephraim Mirvis, Britain’s chief rabbi, declared in August 2016 that Zionism was a “noble and integral part of Judaism,” a long list of Jews including well-known figures such as the filmmaker Mike Leigh, actor Miriam Margolyes and writer Michael Rosen put their names to a letter repudiating the chief rabbi’s version of their identity. CAA chair Falter, dismissed them as “a fringe assortment of British Jews” who had committed an “anti-Semitic slur” against his group. The CAA’s current obsession is an attack against the Palestine Solidarity Campaign, based on the tried and trusted technique of picking out a tiny minority of unacceptable posts on PSC’s huge social media feed. PSC has issued an appropriate rejoinder, but that is unlikely to stop the CAA calling them “Bigots for Palestine”. The CAA has also waged a war of character assassination against veteran Israeli anti-Zionist Prof Moshe Machover, and marked the passing of Jewish Labour MP Sir Gerald Kaufman, father of the House of Commons, with an extraordinary outpouring of bile. The CAA is an organisation that pays only lip service to fighting genuine cases of antisemitism – that is, actual attacks on Jewish people or real abuse of Jews just because they are Jews. Its main work is the vilification of individuals and organisations, Jewish and otherwise, who support the Palestinian campaign for freedom, justice and equality, through the BDS campaign or other legitimate means. Its charitable status should be revoked without delay. Revoke the CAA’s charitable status without delay! This is yet another vile and fraudulent Israeli hasbara proxy agency like the Community Security Trust, We Love Israel, BICOM, FOI, JLM etc whose sole aim is to advance the interests of an oppressive racist apartheid state. CAA seeks to whip up McCarthyite hysteria about “anti-semitism” which has a corrosive effect on political discourse, but fortunately because of the many sage and articulate voices of the Jewish intelligentsia, this kind of smoke and mirrors chicanery is being called out, a light shone on their dishonestly and they are being seen for the frauds they are. I am disgusted and deeply dismayed at the recent bogus accusations of antisemitism against the Labour Party and Jeremy Corbyn in particular. In many ways Zionists in collusion with other agents with vested interests have waged a brilliantly successful campaign of disinformation, but one that will return to haunt us as a pyrrhic victory if it succeeds in destroying Corbyn. I really fear that if that happens, then we’ll see a flood of real antisemitism such as we’ve not seen in the UK for many decades. None of this is to deny that there is still antisemitism, mostly from the rightwing, in the world and in the UK, and yes, of course to a small degree in the Labour party (and if there is evidence of hate speech or incitement to violence, then it’s a matter for the police as much as it’s a matter for the political leadership). It’s very clear that what defenders of Israel and Zionists of any religion or none fear most from a Corbyn government is a change of UK policy towards Israel, including a refusal to sell arms to the Israeli army, and almost certainly a radical change in policy towards the illegal Israeli settlers. The rightwing of the PLP and some of the membership, as well as elements in the City and defence forces in the UK have a different agenda, but all meet in a final common pathway to preserve privilege and maintain the highly unequal, discriminatory society which is the status quo. If the Corbyn project is destroyed, and with it the legitimate hopes and aspirations of the youth of this country, there’s going to be so much anger as social divisions, already so dangerously large, amplify even further.